The Bohemian is a modern, industrial-style portal perfect for loft and commercial spaces. 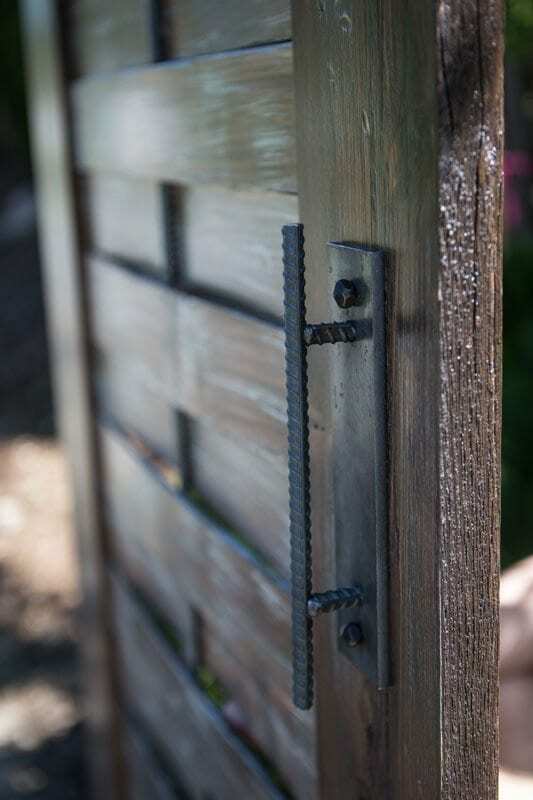 Constructed exclusively from recycled materials, it is made from slats of fir woven around steel rebar. 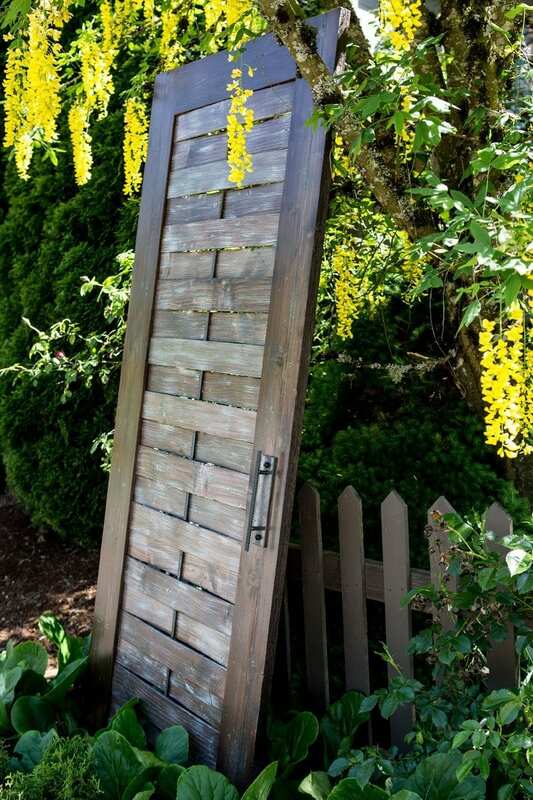 The slats, which are tongue-in-grooved into a fir plank frame, are distressed with a hammer and dry brushed with three colors for an urban weathered look. 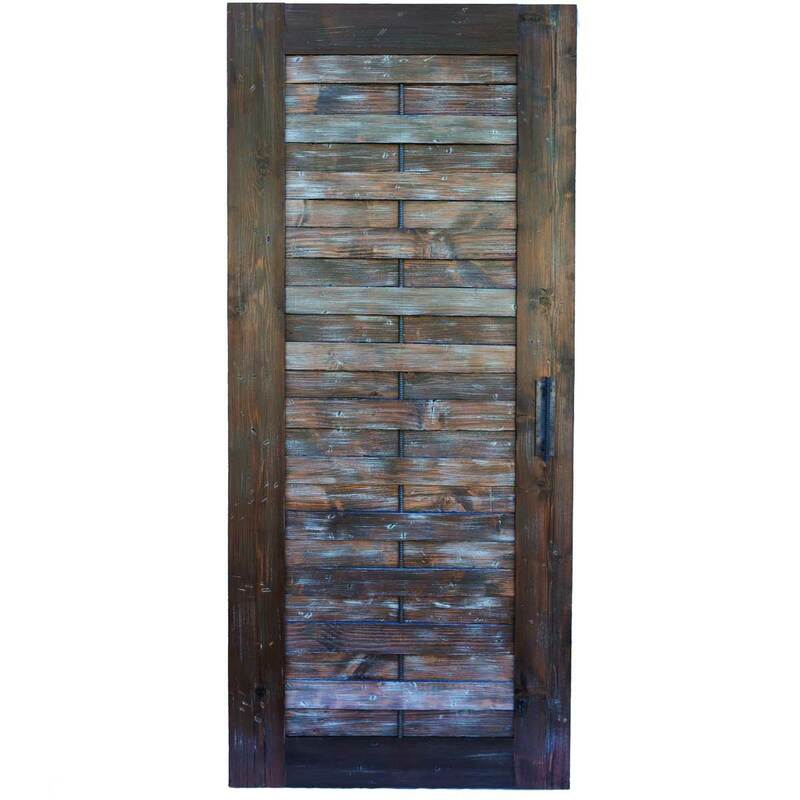 Sporting a rebar handle and sealed with polyurethane, the back of this door is the same as the face. With small amounts of light passing through its center, the latticing of this door allows for a sense of openness and glow.